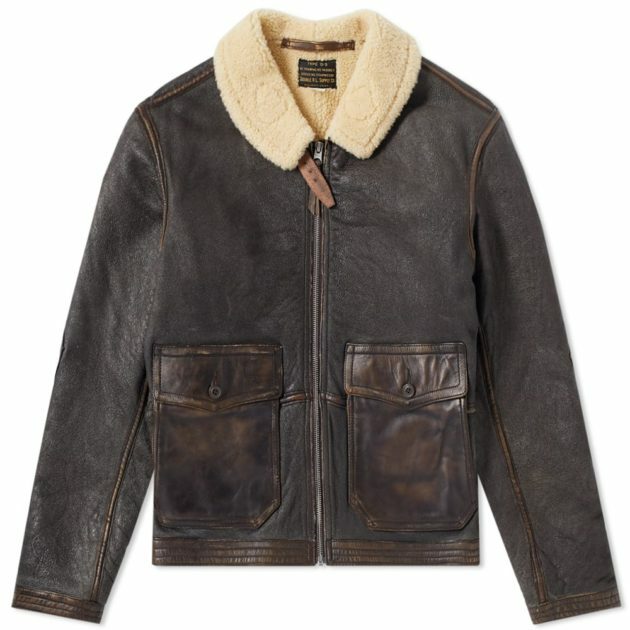 The shearling jacket has been worn in some form throughout human history. 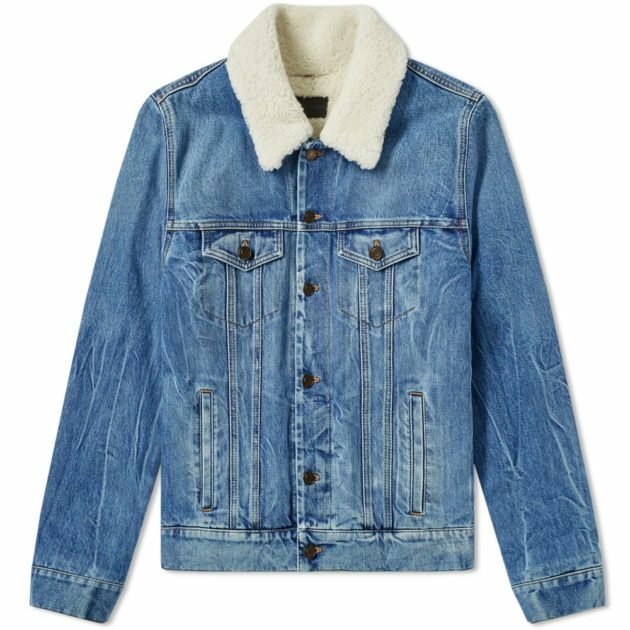 From the stone age where it insulating properties beat the harsh winters right through to modern age where it has transformed into an uber cool fashion garb. 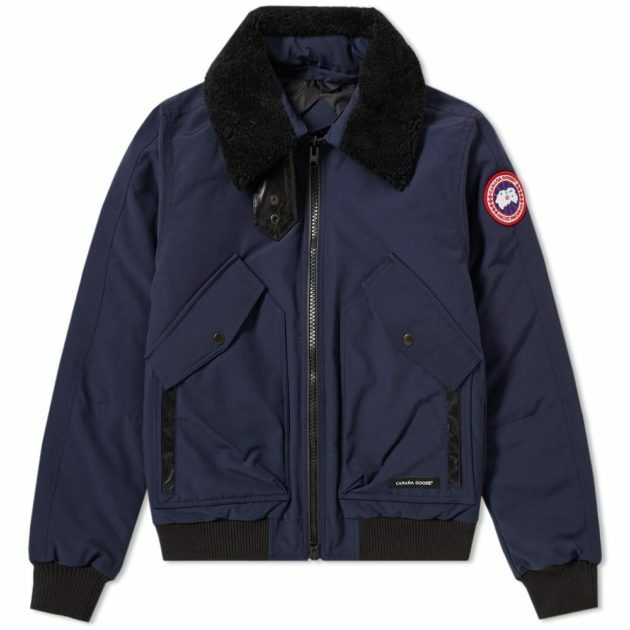 It has this macho semblance that arose during the 1940’s, where American pilots adorned the shearling sheepskin bomber jackets while battling it out in the skies above. 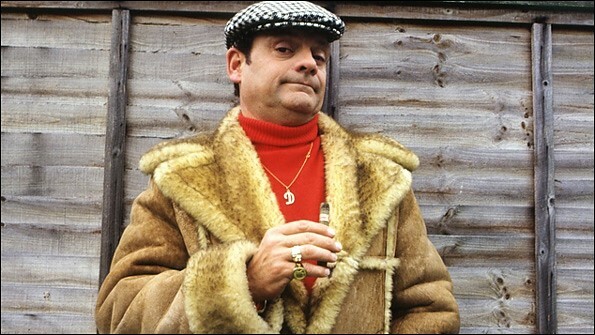 Some of you may remember Del-Boy and his iconic wheeler-dealer look in Only Fools and Horses. 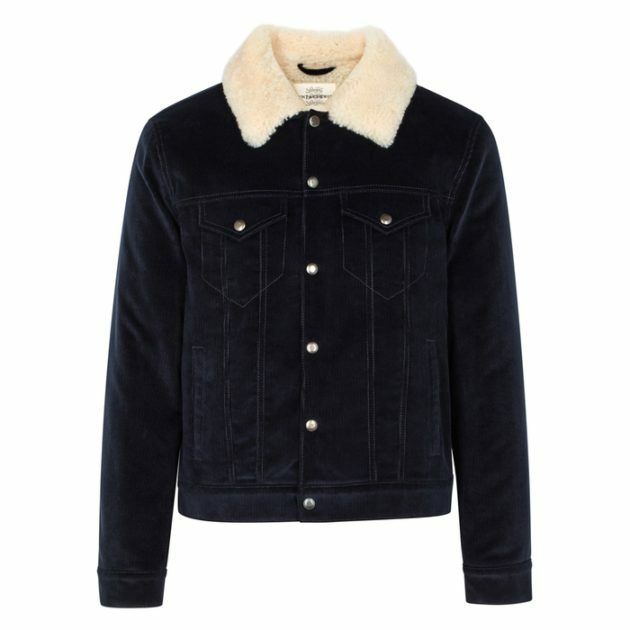 Yes, the stigma attached to the shearling jacket will probably never be lost thanks to old Del-Boy. 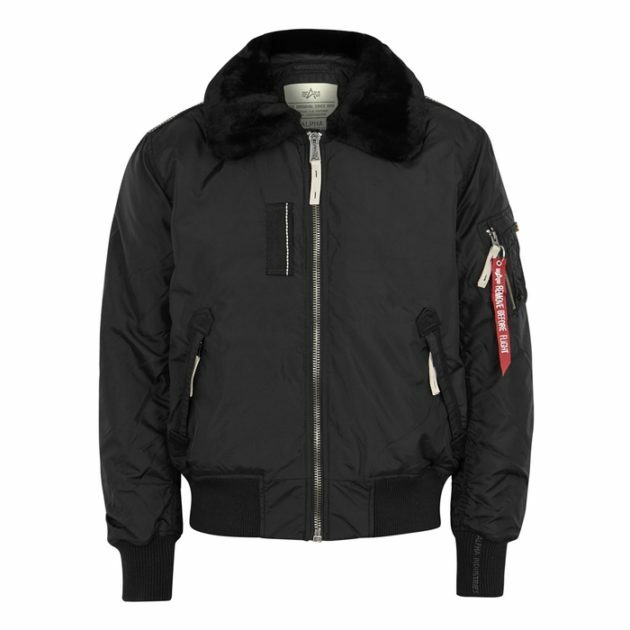 But despite this dubious past, it has been gaining popularity in recent years…why? 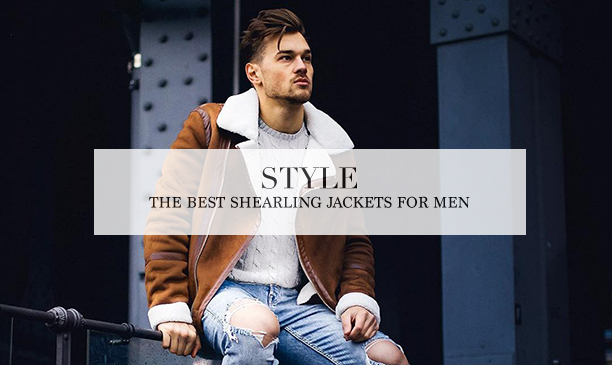 Well, if you can avoid looking like a wheeler-dealer, then the shearling jacket is perhaps one of the best coat jackets in terms of both functionality and style that money can buy. 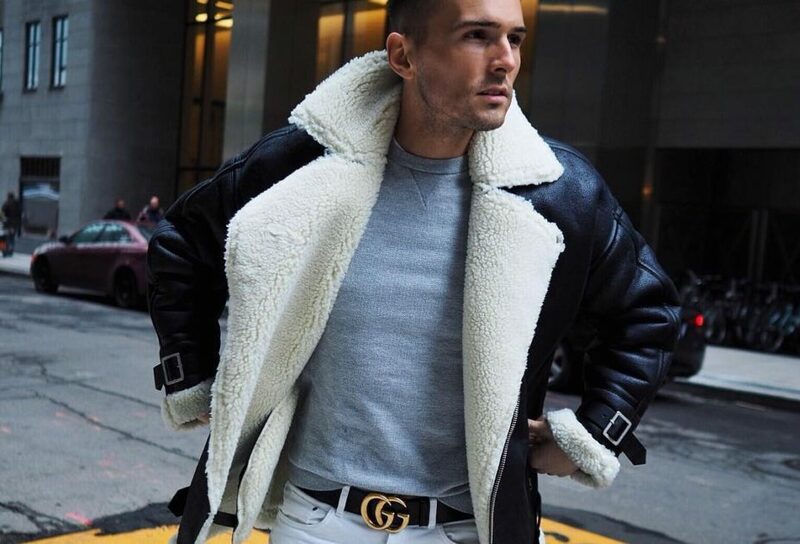 The natural fibre jacket will keep you warm beyond belief and as long as you coordinate your outfit the right way, you can turn a classic garment into a modern marvel. 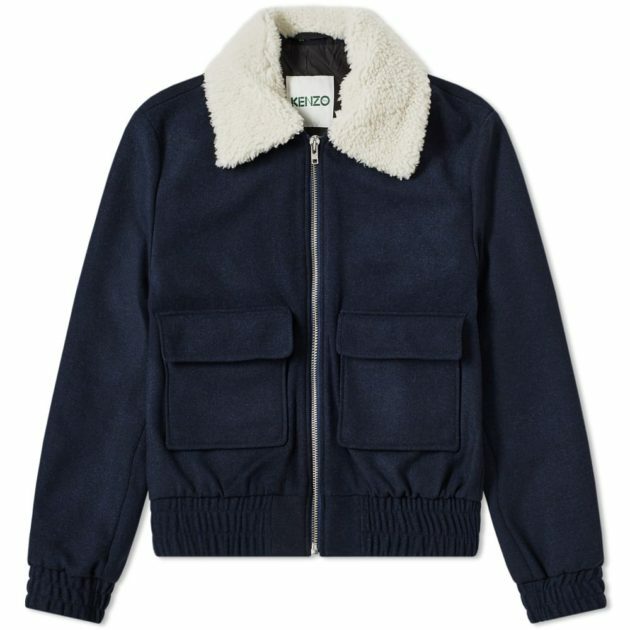 How Should You Wear A Shearling Jacket? 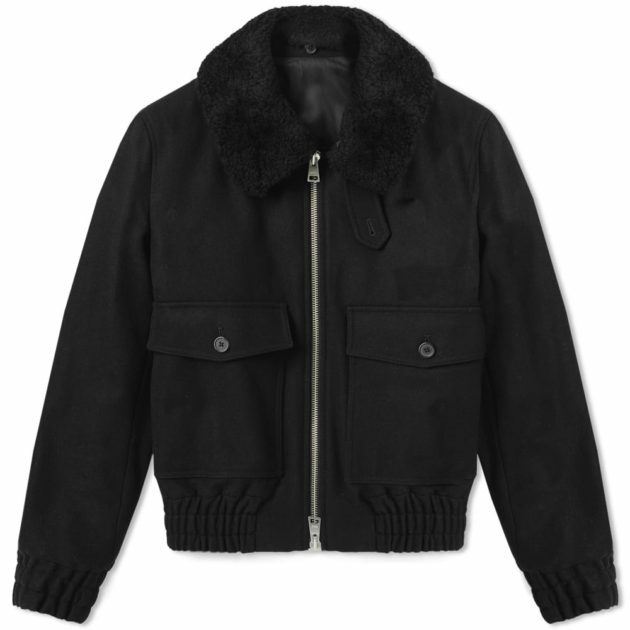 As rule shearling outwear is better suited for your casual looks. 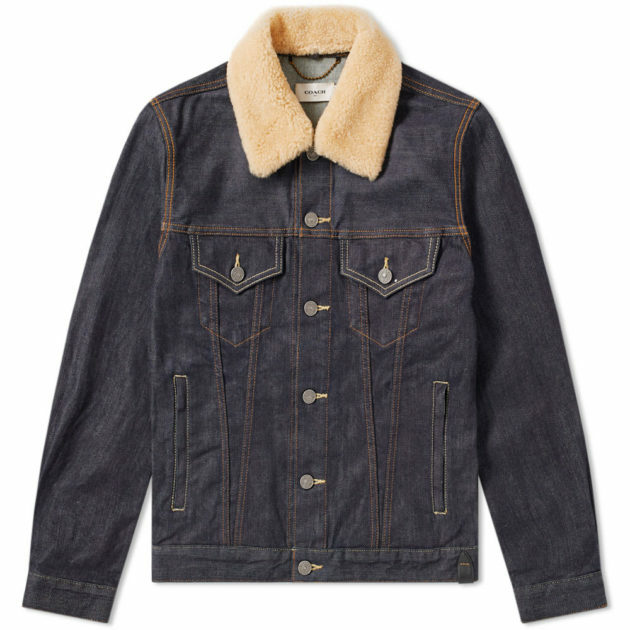 Think jeans, chinos with t-shirts or denim shirts. 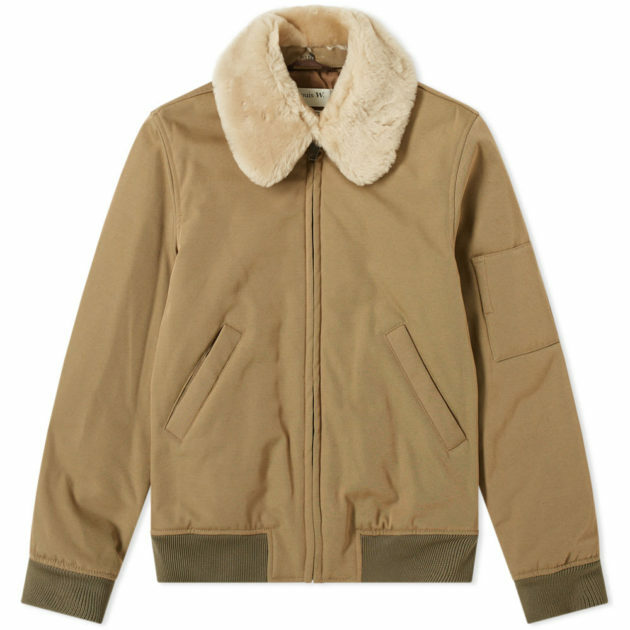 If you want something slightly more put-together, wool trousers would be a great choice. 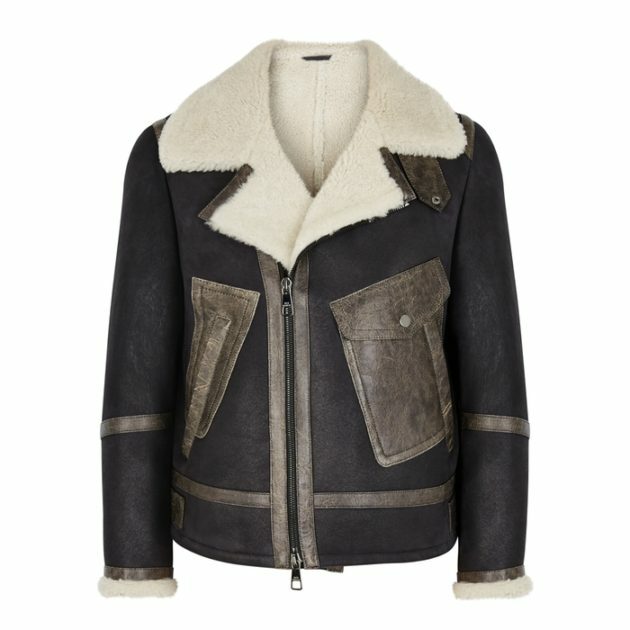 The most common shearling jacket is the bomber style, however, the shearling also comes in a biker jacket, denim and overcoat styles. 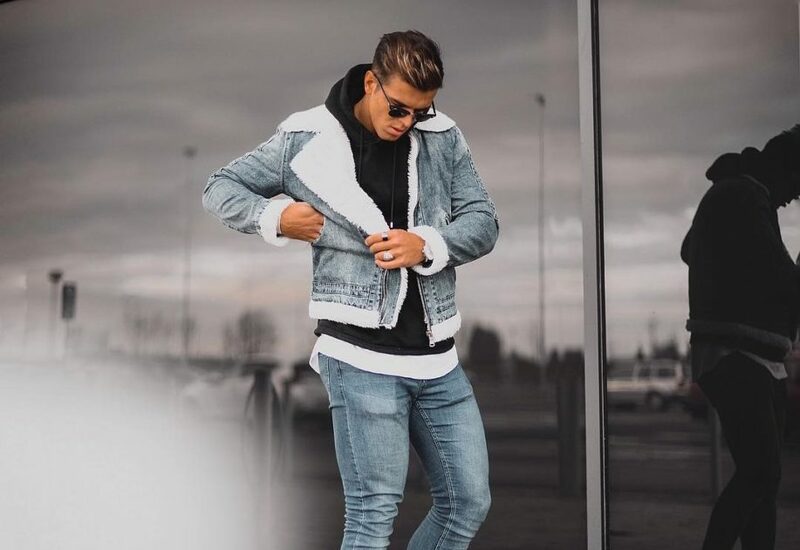 For a great modern look, opt for dark denim jeans, sleek leather Chelsea boots and a t-shirt or light knit sweatshirts underneath.